ISS Today: Are sanctions working in Sudan? Is Donald Trump’s partial lifting of sanctions against Khartoum cynical realpolitik or effective diplomacy? By Peter Fabricius for ISS TODAY. It’s remarkable how quickly the tables have turned in the Sudans. Just a few years ago the infant state of South Sudan was the pampered darling of the international community and its arch-enemy Sudan was the ogre. Then the vicious civil war erupted in South Sudan with shocking levels of cruelty and violence, betraying the ugly reality behind the innocent façade of the country’s ruling Sudanese People’s Liberation Movement (SPLM). Since then the images of the rival states have steadily transposed. As the political and ethnic killings, tortures and rapes continue unabated in South Sudan – despite intense regional and international peace efforts – Khartoum has quietly but steadily been coming in from the cold. This transformation only really came to the world’s attention last week when the United States (US), hitherto Sudan’s arch-enemy, announced it was lifting its main (20-year-old) trade and financial sanctions. These measures were slapped on Khartoum for its alleged support of international terrorism, destabilisation of neighbouring governments and human rights violations. They were mostly introduced by president Bill Clinton in 1997 under Executive Order 13067 (with a few more added by president George Bush in 2006). The sanctions, which nearly crippled companies such as Sudan Airways, will formally cease today – 12 October. President Donald Trump’s administration also recently dropped Sudan from the list of countries facing restricted travel to the US. The role reversal is not complete by a long shot. A few low-ranking SPLM individuals have been targeted by the economic sanctions the Barack Obama administration introduced in 2014 after the eruption of the civil war. But the leaders and the country as a whole have continued to escape sanctions. Meanwhile other US sanctions on Sudan – including targeted economic measures against individuals accused of political crimes in Darfur – remain. And the country stays, at least for now, on America’s list of state sponsors of terrorism, thereby being denied arms trade with the US. Sudanese President Omar al-Bashir is also still a fugitive from the International Criminal Court, indicted for war crimes, crimes against humanity and genocide during the protracted conflict in Darfur. The lifting of parts of Executive Order 13067 is nonetheless a significant, though ambiguous, step – capable of several different interpretations. To some it’s simply a cynical realpolitik, Cold War-style manoeuvre to cement Khartoum’s role as a US ally in the fight against terror, regardless of its human rights abuses. In a similar vein, it was also widely reported by US media that Sudan’s cutting of ties with North Korea was the final trigger for Trump’s decision (though this is not clear). To others, dropping sanctions is simply an admission of their failure to influence Sudan’s behaviour. To the Trump administration, though – and perhaps to Khartoum itself – it’s presented as a milestone along the route to Sudan’s rehabilitation. He said Khartoum was also helping the US fight Joseph Kony’s Lord’s Resistance Army (which it once supported), and had improved humanitarian access across the country. It had also ceased hostilities in its war against armed rebels in Darfur, Blue Nile and South Kordofan, and was helping the US counter terrorism, Tillerson said. Improved human rights behaviour, as such, did not figure in either Obama or Trump’s formal conditions for lifting sanctions. But Tillerson said Khartoum’s termination of its notorious aerial bombardments in the three conflict zones had addressed a major US human rights concern. And incidentally, he said, Sudan had responded a little to pressure from the US on other human rights issues, including by releasing a prominent human rights activist. Arguably Khartoum’s easing of past restrictions on the movement of humanitarian aid into conflict zones also has human rights implications. Tillerson said Sudan still had much to do, especially regarding human rights, but also in ending the internal conflicts with armed opposition groups. But he said the US had retained several measures – including the Darfur and South Sudan sanctions orders and the state sponsor of terrorism instrument with which to punish Sudan for backsliding (or, presumably, to reward it for further progress). Amnesty International reports on the use of chemical weapons by the state against Sudanese civilians as recently as 2016, for example, and the conflicts are continuing in the country’s west. A recent Human Rights Watch report agrees that the human rights situation has not improved, saying “Sudanese Armed Forces (SAF) and aligned forces, notably the newly created Rapid Support Forces, have continued to attack civilians in Darfur, Southern Kordofan, and Blue Nile with utter impunity”. And it said government security agents continued to harass, arbitrarily detain and torture civil society leaders, human rights activists and students, to restrict civil society organisations and independent media; and to use lethal force to disperse protesters, “killing hundreds in broad daylight”. Perhaps. But then again, Trump’s predecessor Obama made the assessment that Khartoum was improving its behaviour, just before he left office in January. As a result, Obama conditionally lifted the same sanctions, the decision to be confirmed if Khartoum continued to show progress over the next six months. So is the US move a sign of cynical realpolitik? Or that sanctions can be effective, even in the most unlikely circumstances? Of course much remains bad in Khartoum’s behaviour. But that is not inconsistent with the carrot-and-stick approach that sanctions surely imply: partial improvements in behaviour are rewarded by partial easing of punishments. Perhaps that will encourage further improvements. Or perhaps not. This of course is the crunch issue. Sudan expert John Prendergast, founding director of the Enough Project, warned before the US lifted the sanctions that Khartoum was still committing countless human rights violations and that these would only increase if sanctions were eased. After Washington .announced it was rescinding the sanctions, Prendergast called on the Trump administration to replace them with a new policy framework of targeted smart sanctions. These would be against individuals and entities responsible for atrocities, rather than hurting the wider population. The Trump administration has decided to permanently lift some of the economic sanctions on Sudan, handing a victory to the country and its lobbyists. The decision, which was widely expected, followed “a focused, 16-month diplomatic effort to make progress with Sudan,” State Department spokeswoman Heather Nauert said in a statement Friday night. Despite the sanctions relief, Sudan will remain on the State Department’s list of state sponsors of terrorism, a three-country list that also includes Syria and Iran. The designation prohibits Sudan from being able to buy arms from the U.S. or receive American aid. And the International Criminal Court has indicted Sudan’s president, Omar al-Bashir, for alleged war crimes. The Obama administration began easing some of the restrictions on Sudan earlier this year. Officials said the country was cooperating more fully with U.S. counterterrorism efforts, allowing in humanitarian groups and promising not to engage in arms sales with North Korea, Reuters reported. Human rights groups, which largely support lifting sanctions if certain benchmarks are reached, said they are disappointed with the Trump administration’s decision. “It sends the wrong message to lift these sanctions permanently when Sudan has made so little progress on human rights,” Andrea Prasow, deputy director of the Washington office of Human Rights Watch, told Reuters. Among the critics of the sanctions relief is Amnesty International, which cited alleged chemical attacks against civilians in Darfur last year. The easing of sanctions is not the only victory for Sudan in recent weeks. Sudan had previously been on President Trump’s list of countries whose citizens were banned from flying to the United States. When the White House unveiled a revised ban last month, Sudan was no longer on the list — the only country to be removed. The country hired law and lobbying firm Squire Patton Boggs for $40,000 per month to work on the sanctions issue and on an effort to “improve Sudan’s investment climate.” Because of the sanctions imposed on the country, American companies have not been able to invest in Sudan’s mineral-rich economy. Sudan also has the law firm Cooke Robotham on retainer to provide legal and policy advice on a “proposed debt restructuring strategy” for the country and for seeking “U.S. government support for debt relief with respect to the Government of Sudan,” according to documents filed with the Justice Department. The contract comes with a $300,000 fixed fee. The initial sanctions on Sudan date back to 1997, and spanned economic, trade and financial sectors, levied for providing safe haven to terrorists including Osama bin Laden. In 2004, the U.S. slapped Sudan with additional sanctions following violence and alleged human rights abuses in Darfur. The sanctions on individuals from that period remain in place, according to Reuters. “Sudan has significant oil and gas resources that will present interesting business opportunities to U.S. energy companies,” said Michael Casey, a partner at Kirkland, in an emailed statement. There is some doubt that the people of Sudan stand to benefit from an opening of the economy, should larger economic reforms not be made in the country. Sudan has massive debts owed to foreign creditors — $51 billion, which represents 60 percent of its GDP, according to figures from the New York Times — and is battling rampant inflation. “There’s been a lot of excitement among the Sudanese middle classes, even for things like getting a cinema,” Magnus Taylor, a Sudan analyst at the International Crisis Group, told the Times. The sanctions have not been effective, he said — a view expressed by the Atlantic Council, a Washington think tank, earlier this summer. Rather than imposing more sanctions, or keeping existing ones in place, Princeton Lyman, a former U.S. special envoy for Sudan and South Sudan, said the U.S. should increase its diplomatic efforts. “It doesn’t work to say, ‘When you’ve completely changed, we’ll lift the sanctions.’ It’s not the way change comes about,” Lyman, who participated in an Atlantic Council report on the issue, told The Hill in July. On 6 October, the US decided to revoke long-standing economic sanctions against Sudan, in recognition of its progress towards maintaining a cessation of hostilities in Sudanese conflict areas, improving humanitarian access throughout Sudan, and maintaining cooperation with the US on addressing regional conflicts and the threat of terrorism. Although not a condition for revoking the sanctions, the US also secured a commitment from Sudan not to pursue arms deals with North Korea. The revocation is set to take effect on 12 October 2017. Sudan, however, will continue to remain on the US list of State Sponsors of Terrorism – alongside Iran and Syria – which carries, among other things, a ban on weapon sales and restrictions on US foreign assistance. The US State Department has issued a press statement and a report with respect to this revocation of sanctions. OFAC has also published frequently asked questions, as well as a new general licence authorising certain transactions. Treating of Guinea worm patient. Photo link. Terekeka – War-torn South Sudan “should serve as an example” for other countries in the progress it is making in eradicating Guinea worm, said former United States President Jimmy Carter. Contracted and spread by drinking infected water, Guinea worm affects some of the world’s most vulnerable people. In 2006, when the Guinea worm program launched in South Sudan, the country had more than 20 500 cases in over 3 000 endemic villages. At the time it was one of nine affected countries. Today, it remains one of three still tackling the disease, with Chad and Ethiopia. This year South Sudan reported zero cases. If this continues, the country will be on track to becoming certified Guinea worm free in the next couple of years. This feat is being touted as one of the few successes to emerge from the young nation, while it battles a 4-year civil war, starvation and grave human rights atrocities being committed against its own people. Jimmy Carter has been at the helm of the international campaign to eradicate Guinea worm for more than 30 years. From 1986, when there were an estimated 3.5 million people infected annually in 21 countries in Africa and Asia, the number has dwindled to 10 confirmed cases all of which are in Chad. Unlike other diseases which are controlled by medicines or vaccines, Guinea worm can be eradicated by educating people how to filter and drink clean water. An excruciating affliction, the meter-long worm is asymptomatic and incubates in people for up to a year before painfully emerging, often through extremely sensitive parts of the body. In 2009, the 48-year-old mother of six was one of South Sudan’s most severe Guinea worm cases. Seated on a mat outside her small hut in the rural village of Terekeka, Bodi yanks down her shirt to expose her chest and frantically point to the many scars covering her narrow frame. Eight years ago more than 10 worms were pulled out from her breasts, legs, feet and arms over a seven month period. Three worms forced their way out of one hole in her small toe, leaving it misshapen and a permanent reminder of the agony she endured. “It’s a disease of those who basically have nothing,” says Makoy Samuel Yibi, director for South Sudan’s Guinea worm eradication program. Due to its low literacy rates and remote location, Yibi says Terekeka was one of the worst hit areas. He attributes the success of South Sudan’s Guinea worm project to more than 17 000 community volunteers who go door-to-door providing preventative information and acting as surveillance systems in some of the most hard to reach areas across the country. “The worst thing is a missed case,” said Yibi. Due the mass displacement of people since the onset of the war, his team is working closer with neighbouring countries to increase cross border surveillance. Looking back, Jimmy Carter said this local network is something he wished he had implemented sooner. “At the beginning we underestimated the importance of local leaders,” said Carter, who admitted that he initially thought Guinea worm would be eradicated within five to 10 years of launching the campaign. Much of South Sudan’s success is due to the large strides taken before the war erupted in 2013, although experts say the conflict hasn’t greatly harmed the program’s progress. Between 2006 and 2012 the country’s cases reduced by 93%. Globally, the Guinea worm program is entering the final stretch, however, according to the World Health Organisation, the last remaining cases can be the most difficult to control as they usually occur in remote and often inaccessible areas. 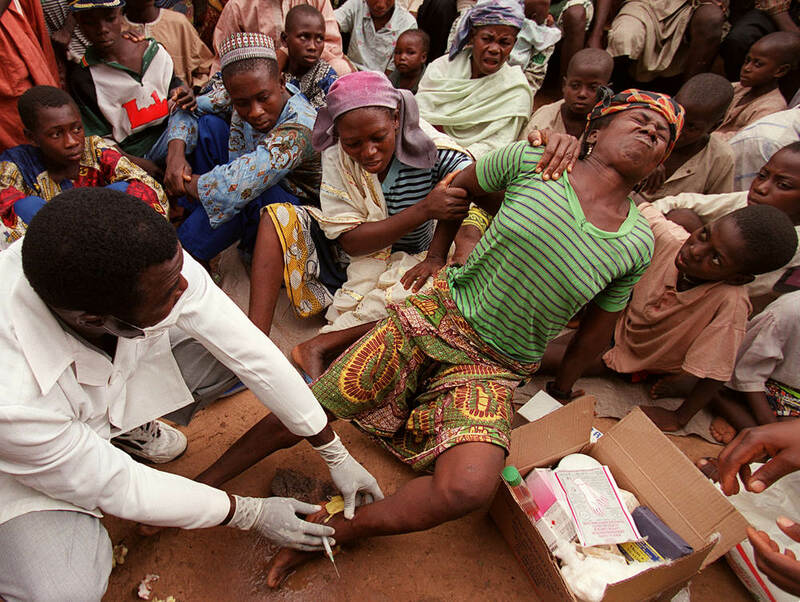 Guinea worm has been on the verge of being eradicated for a few years. Although fighting between President Salva Kiir’s government forces and troops loyal to former Vice President Riek Machar show no signs of ending, those battling Guinea worm refuse to let the war stand in their way. In a press statement on Sunday, the joint UN-AU Mission in Darfur (Unamid) welcomed the US Administration’s decision to lift most economic sanctions imposed on Sudan. The decision, which ends more than two decades of economic sanctions, is hoped to contribute significantly to the betterment of the lives of the Sudanese people; including the population we serve in the Darfur region, the statement reads. “On behalf of the Mission, I would like to congratulate the people and the Government of the Republic of Sudan on the lifting of the American sanctions. “We are hopeful that this decision shall be a significant progress towards improving the lives of the population we serve in Darfur, in terms of creating livelihoods, and raising of education and health standards,” Unamid’s Joint Special Representative and Joint Chief Mediator for Darfur Jeremiah Kingsley Mamabolo said. “I also hope that this would constitute a positive step forward on the way of realising permanent peace, stability and sustainable development in Darfur. “I call on all the Sudanese parties to take advantage of this window of opportunity to speed up the finalisation of the peace process and use it as a catalyst for achieving permanent peace in Darfur,” he added. On Friday, the administration of President Donald Trump lifted two-decades-old economic sanctions on Sudan “in recognition of the Government of Sudan’s sustained positive actions to maintain a cessation of hostilities in conflict areas in Sudan, improve humanitarian access throughout Sudan, and maintain cooperation with the US on addressing regional conflicts and the threat of terrorism”. The US State Department noted that any further normalisation in the bilateral relations with Khartoum requires continued progress by the Sudanese government. The BBC commented on the news by saying that the sanctions relief is expected to boost sectors in the Sudanese economy that have suffered from the trade embargo – these include aviation, agriculture, oil, and technology. “The move will be celebrated by some as a victory for the ruling National Congress Party, but it remains to be seen how the average Sudanese will benefit. “For decades, Khartoum has blamed the sanctions for all sorts of ills that befell the Sudanese economy, rather than confronting the chronic mismanagement and the rampant corruption,” BBC’s Mohanad Hashim stated. In early May, Human Rights Watch called on Washington to delay the definite lifting of economic sanctions until the human rights situation in Sudan has improved. A month earlier, Enough Project urged the US Congress to design “a clear US policy approach, one that deploys the types of modernised pressures that can generate meaningful leverage for creating real and lasting change in Sudan through a Human Rights and Peace Track” instead of using “benchmarks that do not fundamentally alter the nature” of the Khartoum regime. Khartoum is planning to capture or assassinate tribal chief and former janjaweed leader Musa Hilal and defeat his forces, says Hilal’s Revolutionary Awakening Council (RAC). In a statement on Saturday, the RAC revealed a plan to capture Hilal and send him “alive or dead” to Khartoum. It accused “influential parties” within the government of “seeking to punish Hilal”. 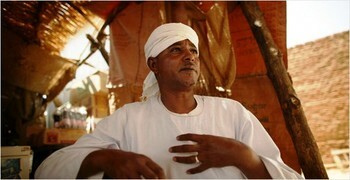 The implementation of the plan has reportedly been assigned to Sudan’s largest militia, the Rapid Support Forces (RSF). According to the RAC, an RSF force of 60 Land Cruisers was recently dispatched from the north-western areas of Um Baro and Ein Siro. 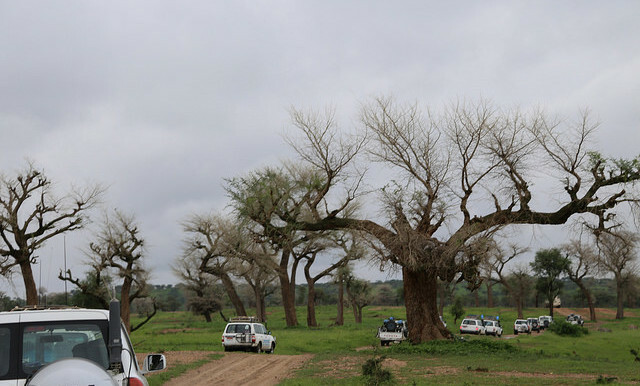 Another RSF force, consisting of 83 four-wheel-drive vehicles, is heading from Kabkabiya in North Darfur to the South Darfur capital of Nyala for the same purpose. The Council warned that “those who hope that Hilal will be arrested and sent to Khartoum, alive or dead, will be disappointed”, and stressed “the readiness of the RAC to defend itself”. The RAC further stated it stays committed to “a just political cause” and to achieving peace and stability in Darfur. In early 2003, when Darfuri rebels took up arms against the government, Khartoum assigned Musa Hilal, chief of the Arab Mahameed clan in North Darfur, as the main recruiter of militant Arabs (popularly called janjaweed) in Darfur. With the full backing of the government, his militiamen targeted unarmed African Darfuri villagers, but they rarely came near forces of the rebel movements. Hilal’s stance towards the government changed over the years. Mid 2013, he returned from Khartoum to his base in North Darfur, where his fighters, mainly members of the paramilitary Border Guards, began to attack government forces and allied militias. Hilal established the RAC, consisting of native administration leaders and militants from various tribes in north-western Darfur, in Saraf Omra in March 2014. According to a UN Security Council report in April this year, he and his men are profiting from vast gold sales in Darfur. 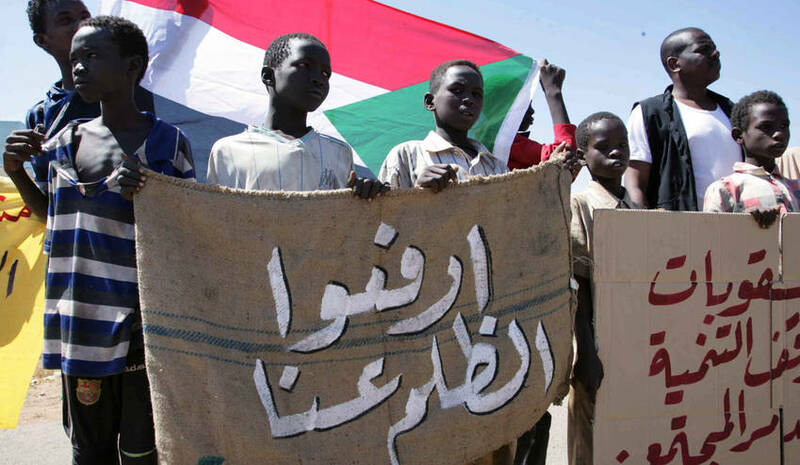 In July, the Sudanese government announced a nationwide disarmament campaign, to be started in Darfur and Kordofan. The army and the allied RSF militia have been tasked with collecting illegal arms and unlicensed vehicles from civilians in both regions. According to the RAC, the disarmament of civilians in Darfur “clearly targets Sheikh Musa Hilal and his tribe”. The Border Guards have opposedthe plan from the start. They have also rejected plans to dissolve the various government militias in the country and integrate the members with the RSF. 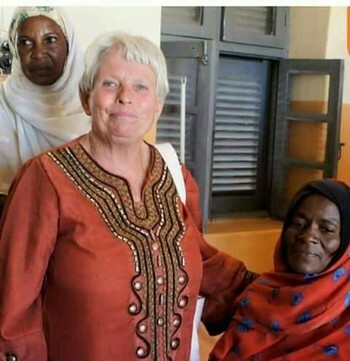 The Swiss Foreign Ministry has called for the quick release of a Swiss aid worker who was kidnapped by unknown gunmen from her house in El Fasher, capital of North Darfur, on Saturday evening. “The Foreign Ministry is aware of the case of a Swiss woman kidnapped in Darfur,” a spokesman told Reuters by email. The Ministry did not give details about when the woman had been abducted or other details about her. The neighbours of Swiss aid worker Margaret Schenkel in El Fasher’s El Daraja El Oula district told Radio Dabanga that a group of gunmen stormed her home on Saturday evening. They forced her to embark a Land Cruiser at gunpoint and took her to an unknown destination. They said that Schenkel has been living in Darfur for more than 20 years. She speaks Arabic fluently, and runs a centre for undernourished children in the North Darfur capital. More than 20 foreigners were abducted for ransom -and released- in Darfur in the past two decades. Hundreds of Darfuris were kidnapped. Several aid workers in Darfur have raised concerns over their safety following the decision of the UN Security Council on 29 June to reduce the number of peacekeepers in the restless region. The Security Council renewed the mandate of the joint UN-AU Mission in Darfur (Unamid) until 30 June, however with a reduction of more than a third of the nearly 19,000 Unamid military troops and police officers present at the time. According to the World Watch Monitor (WWM), the Sudanese authorities are trying to intervene in the affairs of several denominations in the country. Eight church leaders were detained and questioned in the past six weeks. Observers fear a campaign developed by the Sudanese government to seize control of the country’s churches, the Christian organisation reported on Wednesday. Mahjoub Abuterin, a senior leader of the Sudan Church of Christ (SCOC) was held in Omdurman, the twin city of Khartoum, on 22 September. He was released again after questioning. But it is not known whether he has been charged with any offence. The WWM claims Khartoum has been trying to manage the affairs of several denominations in the country by removing church-appointed leaders, and states that Abuterin was held because he refused to let government officials take over the leadership of his church. Last month, security officials told four other members of SCOC’s leadership committee that charges would be brought against them because they refused to let officials take over the premises of the church’s office. In August, seven senior SCOC leaders were held and questioned before being released on bail. Among them was Kuwa Shemaal, the Head of Missions of the church. He was previously detained in December 2015, and released on 2 January this year because of a lack of evidence. Two others detained with him were released in May. The Sudanese Minister of Guidance and Endowments announced in April 2013 that no new licenses would be granted to build new churches in the country, claiming there is no need for new church buildings because many mainly Christian South Sudanese refugees returned to their own country after the secession of South Sudan in 2011. In April this year, Sudan Democracy First Group (SDFG) warned for an “expansion of the religious discrimination against Christians in Sudan”. The Kampala-based Sudanese think-tank stated that “Since 2011, repeated attempts to confiscate the properties of the Sudanese churches and their endowments, and increasing implementation of various types of restrictions on activities of Sudanese Christians, have been made. “This clearly demonstrates growing and continuous trends of systematic discrimination against Christians in Sudan. “An additional layer of discrimination becomes visible, when taking into account that large proportions of Sudanese Christians are originating from the conflict zones in the Nuba Mountains. Security forces have thereby additionally labelled their religious communities as a security threat,” SDFG stated. Radio Dabanga reported in August that the police of Central Omdurman ordered Rev. Yahya Abdelrahman, the head of the Anglican Evangelical Church and his deputy to evacuate their house, because an investor claimed he owned the land property rights. Abdelrahman said that a force of court police, accompanied by an investor, forced him and his deputy to evacuate the house of the Evangelical Church at El Mulazimin in Omdurman. The decision apparently was issued by the Omdurman Central Court. “The court judge insisted on the implementation of the decision, despite the fact that the house number was not identical to the house referred to in the decision,” he stated. In May, a church in southern Khartoum’s Soba Aradi was bulldozed to the ground. Two pastors were detained for several hours. Three months earlier, the demolition of 27 churches in Khartoum was delayed after an appeal was made to the Khartoum North Court of Appeal. A conflict between the Sudanese Ministry of Guidance and the Evangelical Church over land reportedly triggered the killing of a young Christian man Yunan at the courtyard of the Evangelical Church and School in Omdurman in early April. An investor had reportedly bought or leased the land. When he tried to seize the school by force, Christian youth staged a sit-in in the church building. A police force then raided the premises on 3 April, and detained 13 of the protesters on charges of trespassing. A member of the committee that signed the contract to the site stabbed Yunan Abdallah to death and seriously wounded another. The SDFG report refers to a similar incident that occurred in July last year, when security forces stormed the Evangelical School in Khartoum North with five heavily armed vehicles. They detained 19 Evangelical priests, elders, and students, who were holding a peaceful sit-in to protest the selling of the church land to an investor. Economic expert Prof Hamid Eltigani has contradicted predictions by Sudanese government officials that the US lifting of the trade embargo on Sudan will solve the economic crisis in the country to a large extent. Sudan’s FA Minister announced that the second phase of the dialogue with Washington will take place early next year. According to Prof Eltigani, economist and head of the Department of Public Policy and Administration at the American University in Cairo, the permanent lifting of the trade embargo on Sudan as declared by Washington on Friday, “has mostly a psychological effect. “The lifting of the sanctions opens the door for Sudan to free trade and investment, but the problem is that Khartoum is bankrupt and has nothing to sell,” he commented in an interview with Radio Dabanga broadcast today. “Almost all industries have become inoperable in Sudan, as their structures have collapsed,” he explained. “Most of the productive forces migrated to urban areas and are trying to survive by doing marginal jobs in the informal sector. Others are living in the various camps for the displaced. Eltigani does not believe that investors will enter into long-term projects. “Major US and European companies will refrain from investing in Sudan under these circumstances, especially as Sudan is still on the list of countries that support terrorism. These countries will most probably not invest in Sudan as long as Al Bashir remains in power,” he stated. The economist predicted that large national transport institutions such as Sudanair, the railways and sea lines, and the El Gezira Agricultural Scheme “will not return to normal again. He ruled out that the lifting of the sanctions on Friday will stabilise the rate of the Sudanese Pound, but predicted a further rise of the price of the Dollar against the Sudanese Pound at the black market. “The dependence on the import of various basic commodities such as grain or medicine requires hard currency. He further refuted rumours that the lifting of the sanctions represents an opportunity for government officials to smuggle the hard currency they acquired through corruption abroad. “These allegations are unfounded because the leading members of the current regime and its beneficiaries have secured their money long ago. At least 11 billion Dollars have been put away in Malaysia, the United Arab Emirates and other countries in the Arab Gulf,” he said. On Friday, the administration of President Donald Trump lifted two-decades-old economic sanctions on Khartoum “in recognition of the Government of Sudan’s sustained positive actions to maintain a cessation of hostilities in conflict areas in Sudan, improve humanitarian access throughout Sudan, and maintain cooperation with the US on addressing regional conflicts and the threat of terrorism”. The US State Department noted that any further normalisation in the bilateral relations with Khartoum requires “continued progress” by the Sudanese government. The US decision did not include the removal of Sudan from the list of states sponsoring terrorism -to which it was added in 1993- which means that restrictions on debt relief, receiving foreign aid, or the sale of arms are still in place. Finance Minister Mohamed El Rikabi predicted that the effects of the sanctions relief will be gradual. He told reporters in the Sudanese capital on Sunday that the country’s external debts consisting of 45 billion Dollars “require high-precision measures to obtain new funding from international institutions. “Key conditions the International Monetary Fund set for debt relief are the lifting of subsidies on basic commodities and a flexible exchange rate,” he said. The State Minister of Finance, Abdelrahman Dirar, said that his Ministry will make use of the positive effects of the sanctions relief by gradually integrating the Sudanese economy into the world economy. The US decision will stabilise the exchange rate of the Sudanese Pound, which will lead to a general decrease of the prices of basic commodities. “Benefits from remittances and funding opportunities facilitated by the US sanctions relief will be guided by a studied plan for the productive sectors and infrastructure, as well as the establishment and development of assets that support production,” he said. The Director of the Central Bank of Sudan, Hazem Abdelgader, said that a number of foreign banks have requested permission to open branches in Sudan. He expected the Dollar rates to significantly drop against the Pound during the coming period. On Sunday, the British Embassy in Khartoum said in a statement that British investment and trade officials arrived in Khartoum that day for talks on investment and trade exchange between the two countries.